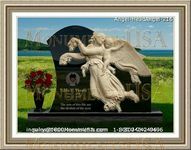 This is a brief statement or phrase, sometimes a poem or prose, that is inscribed on an individual's headstone or commemorative plaque. It says something about the person it represents. There are several different forms this tribute can take, mostly dependent on the deceased's personality, life choices and who is writing it. 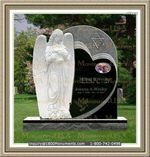 There are some things that practically each grave marker will have in common. Nearly all will contain the person's full name and the dates that encompassed their life. Though a good many individual's choose to stop at just that basic information, others will opt to say a little extra by including statements, sentiments or personal remarks. 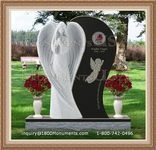 A lot of people are choosing to design their own headstone. The primary benefit to this is that they can be sure that their last impression will be one they are comfortable leaving. It allows a bit of freedom, for example, for a person who was known for their sense of humor to be entertaining and witty with their final remarks. Another approach many people take when composing their inscription is to leave a final bit of advice to those who read their marker. They may warn against taking life for granted or suggest that the living make the most of every moment. 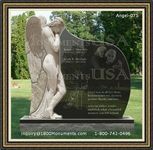 There are no limitations as to what one might choose to place on their stone.